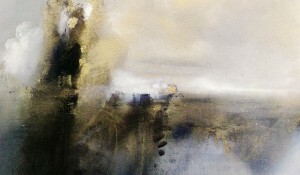 A selection of paintings from the last few years. 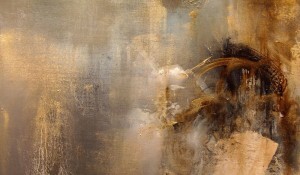 Nijigen, 140 x 130 cm, oil on canvas. 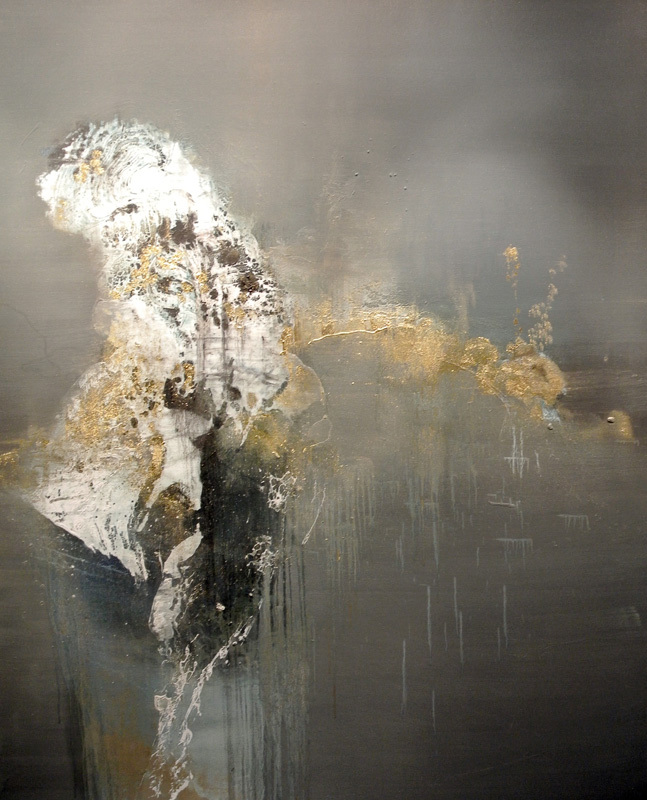 Amida, 100 x 100 cm, oil on canvas. 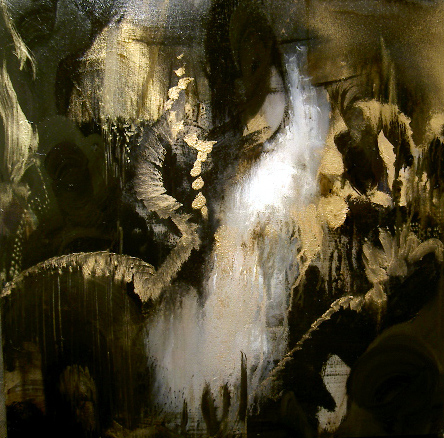 Cave, 60 x 60 cm, oil on canvas. 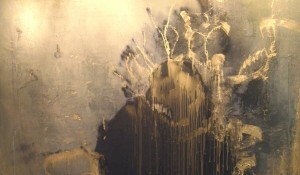 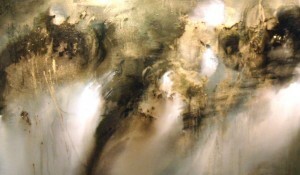 Fontana, 140 x 130 cm, oil on canvas, 2003. 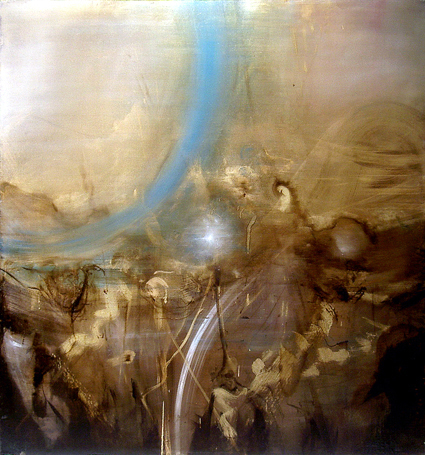 Cima, 123 x 112 cm, oil on canvas, 2009. 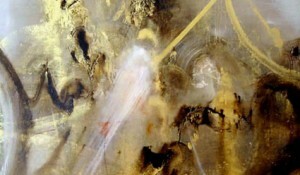 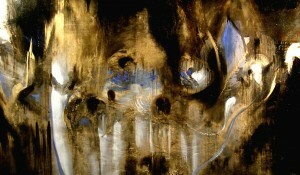 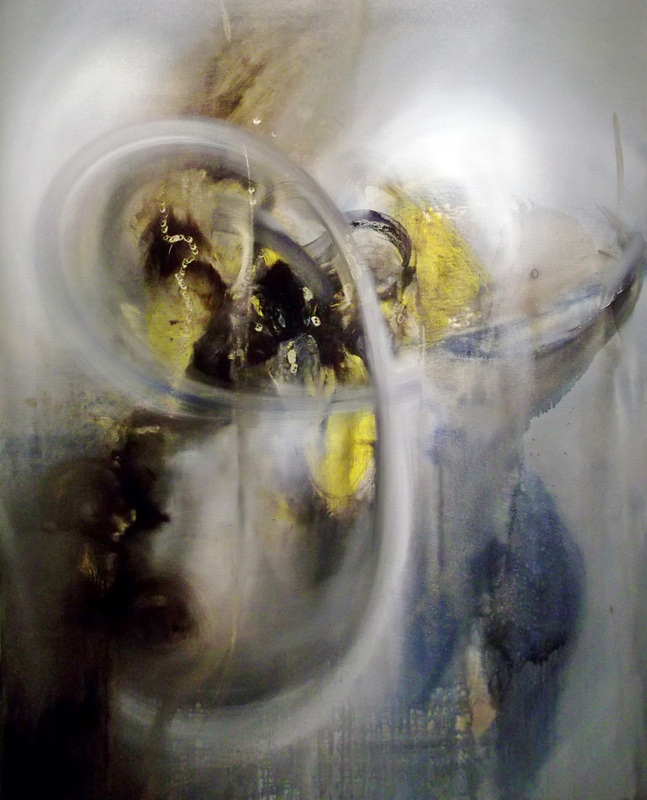 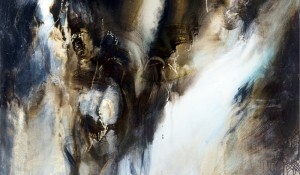 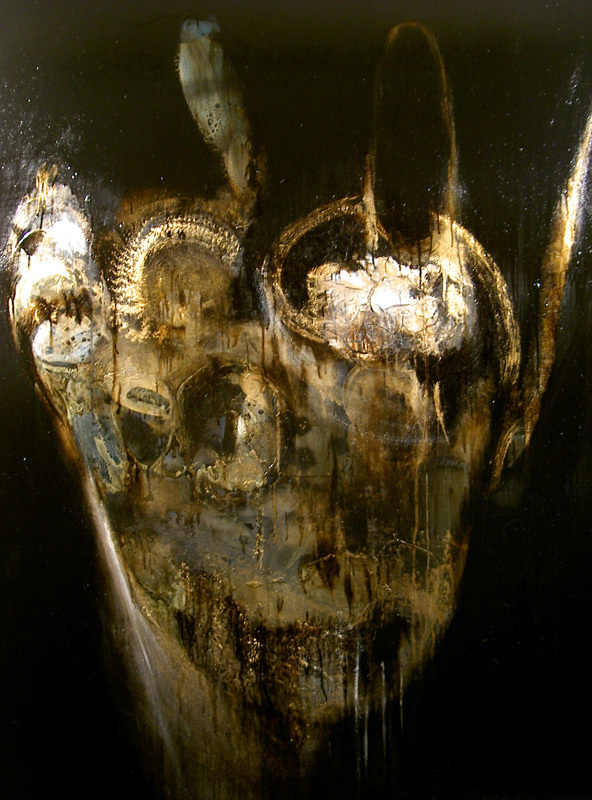 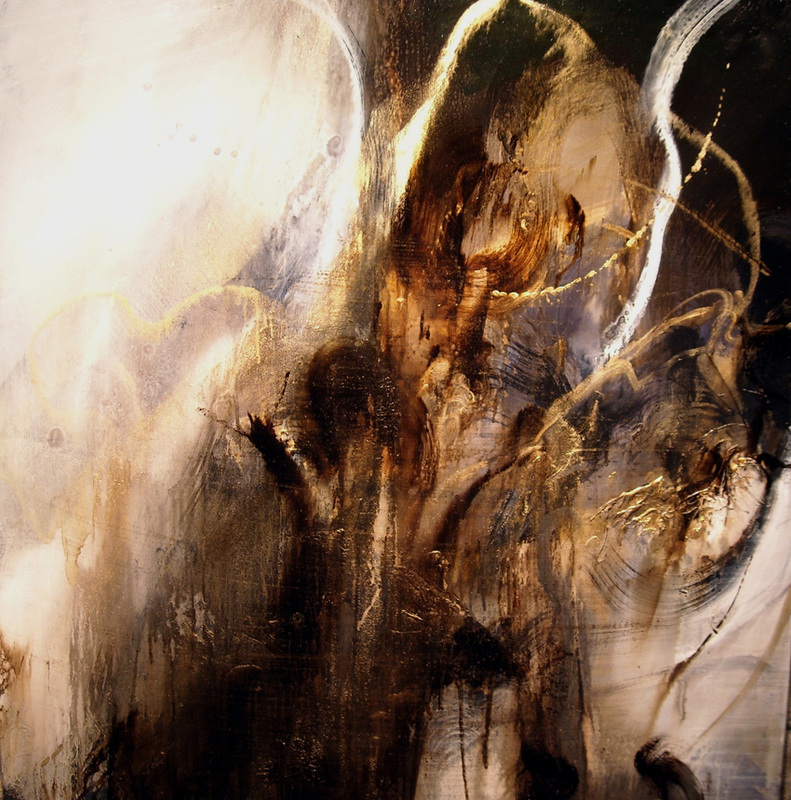 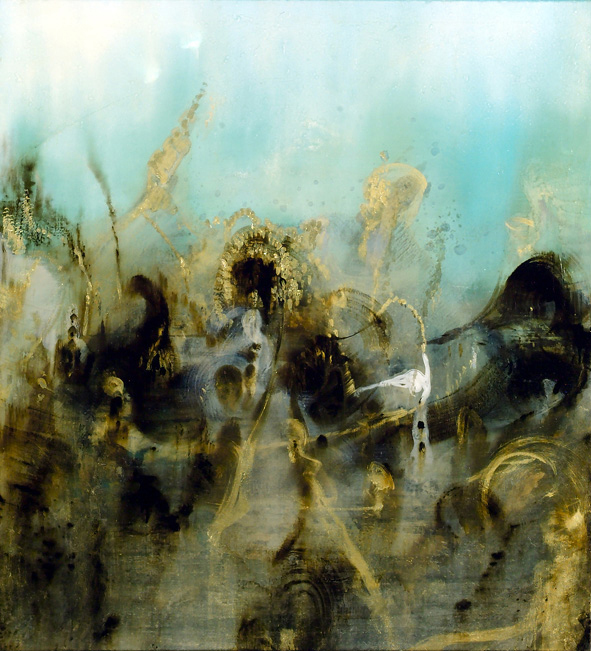 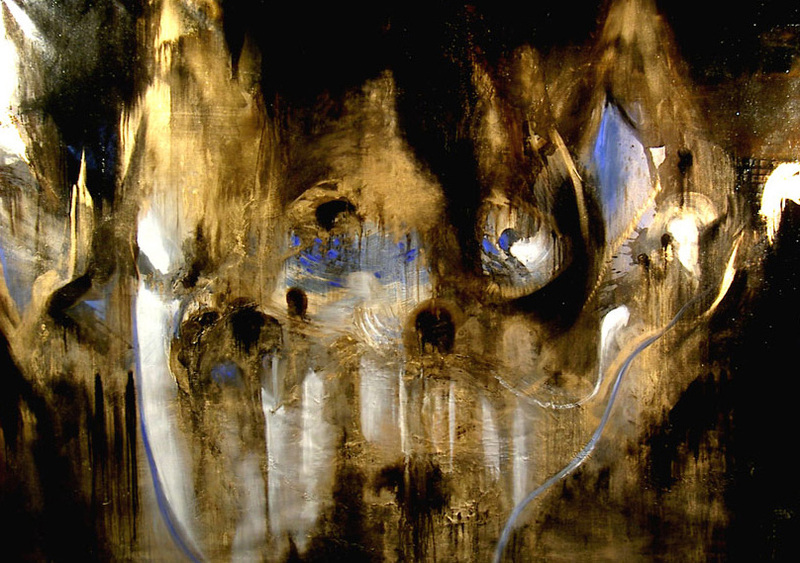 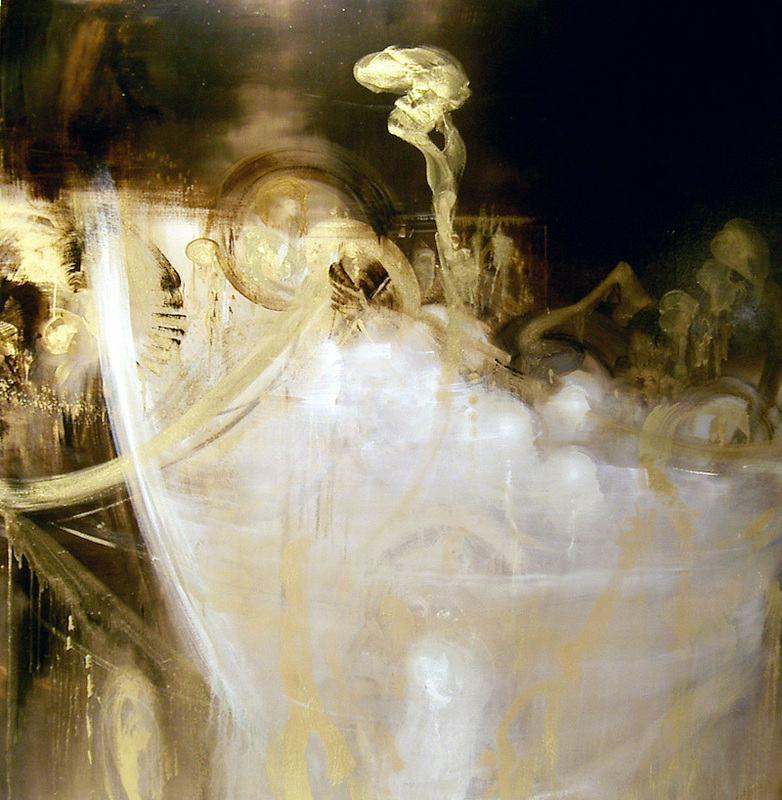 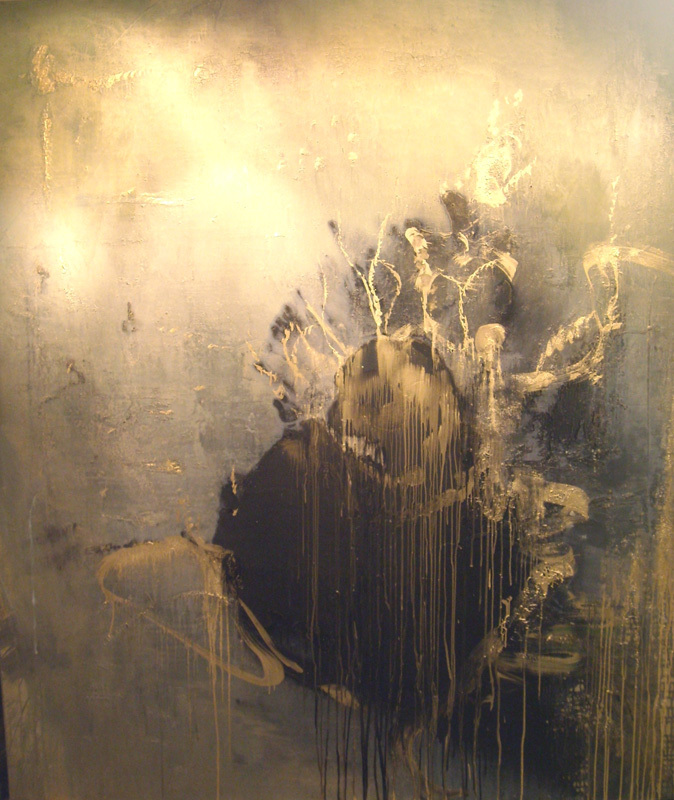 Canina, 155 x 145cm, oil on canvas, 2005. 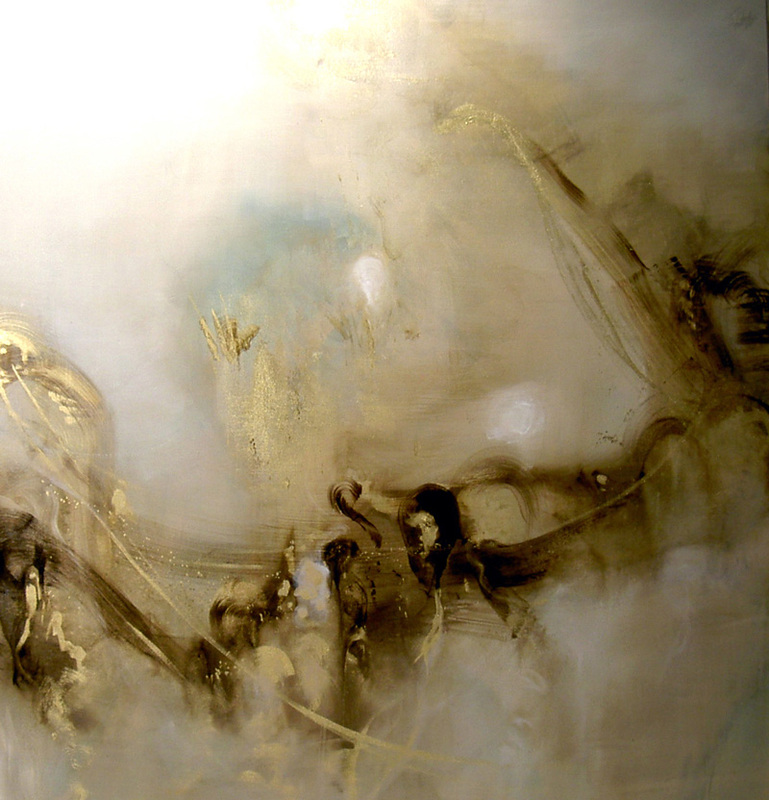 Guests, 195 x 183cm, oil on canvas. 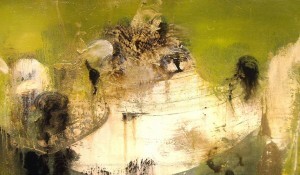 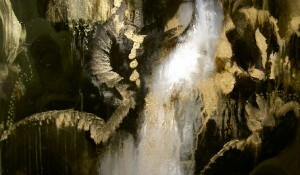 Green Genie, 50 x 100cm, oil on canvas, 2009. 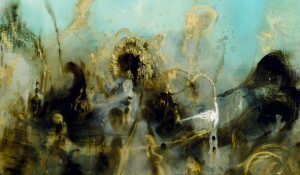 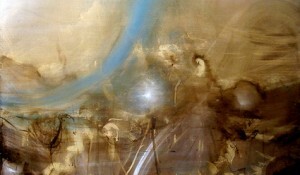 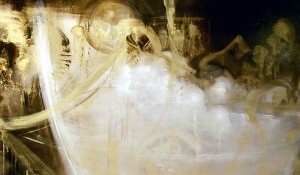 New Day, 155 x 145 cm, oil on canvas, 2005. 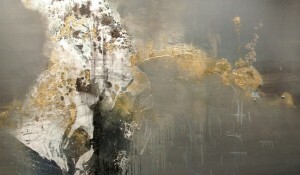 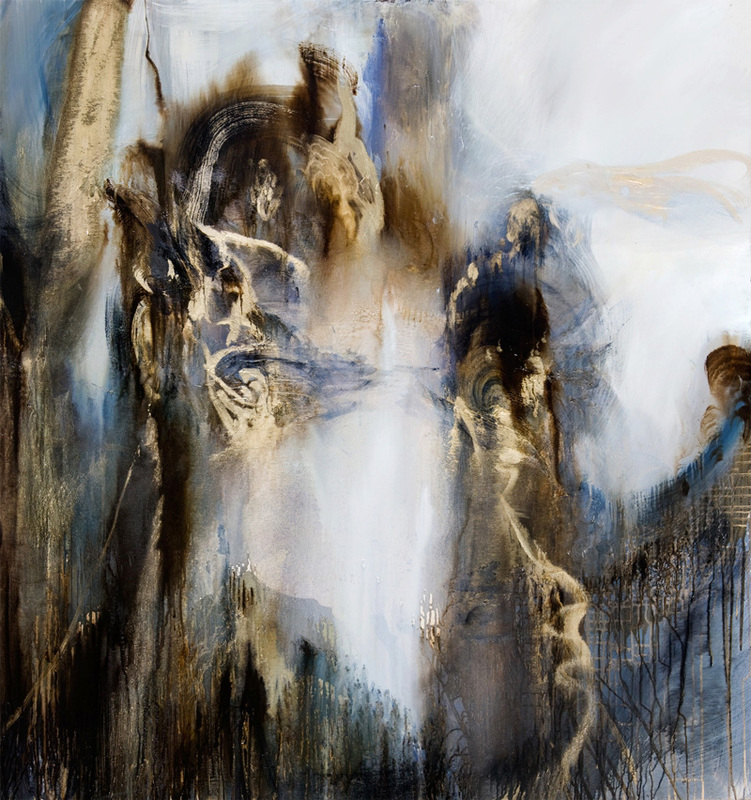 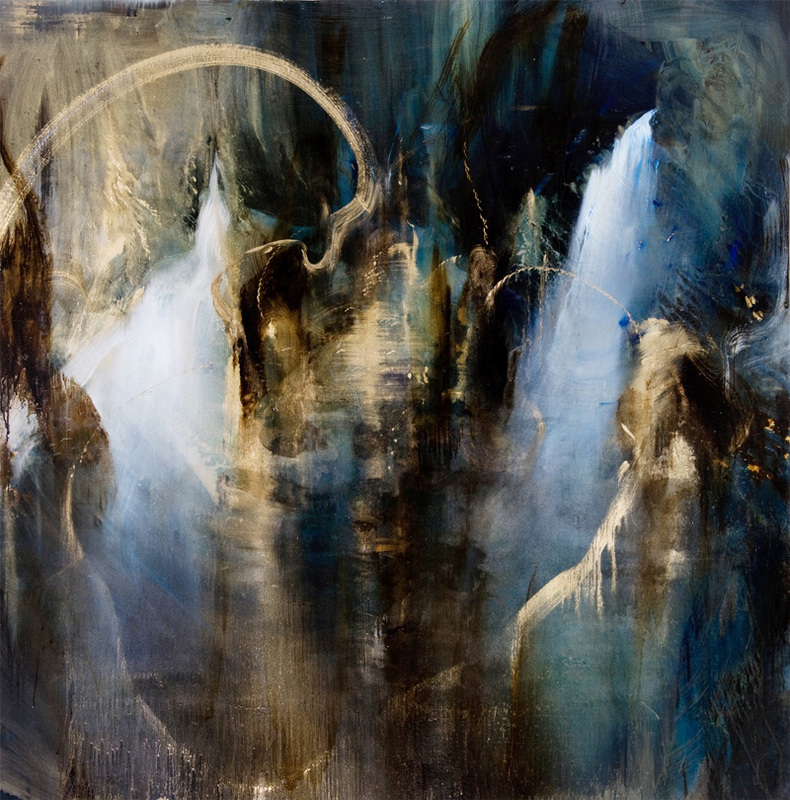 Olaf, 185 x 173 cm, oil on canvas. 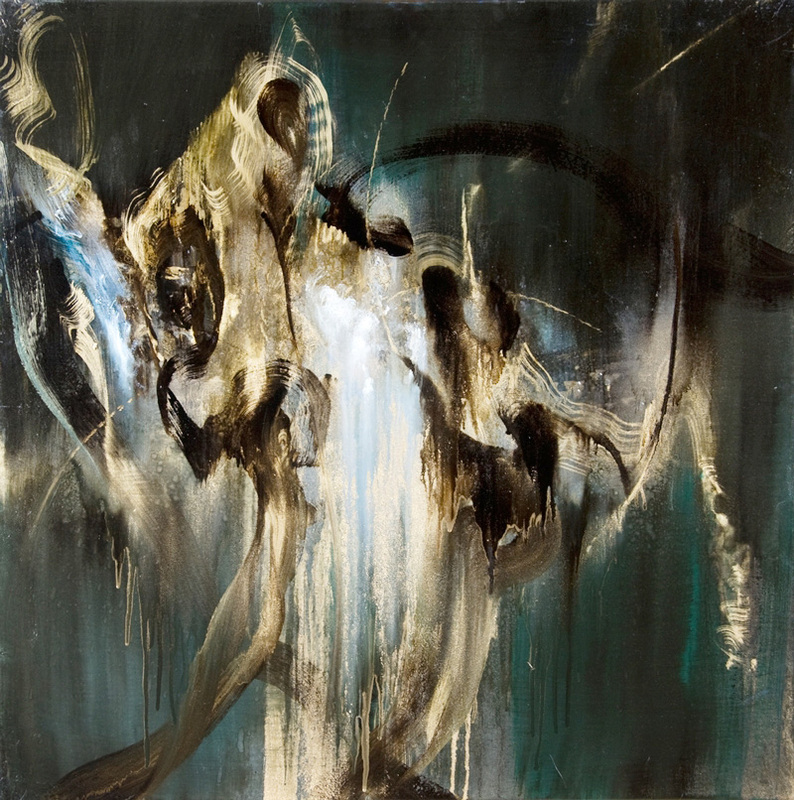 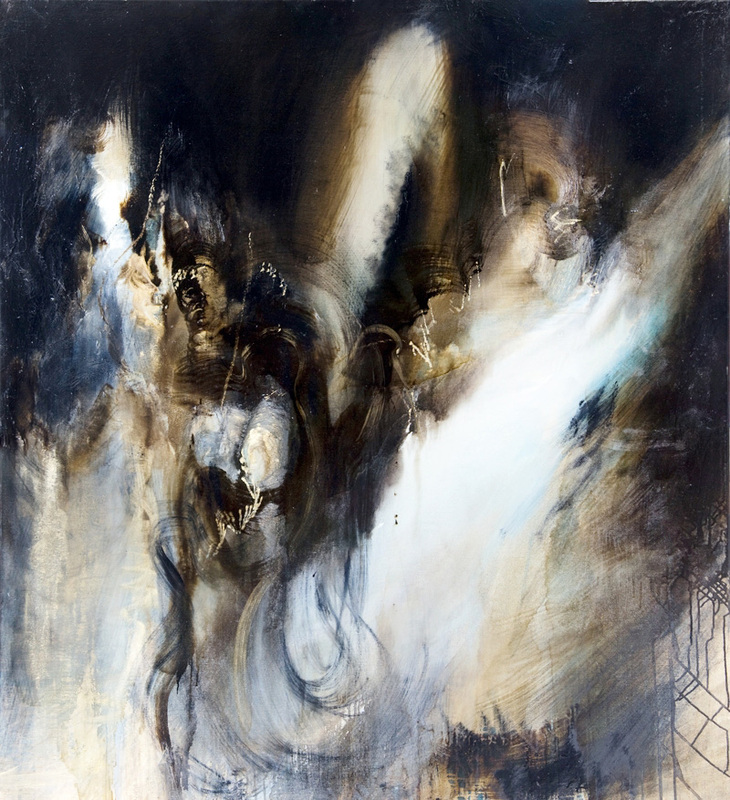 Alajar, 100 x 100 cm, oil on canvas, 2013. 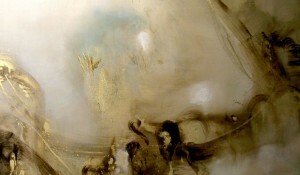 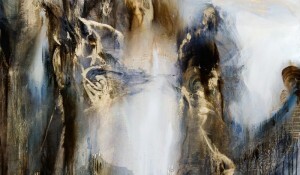 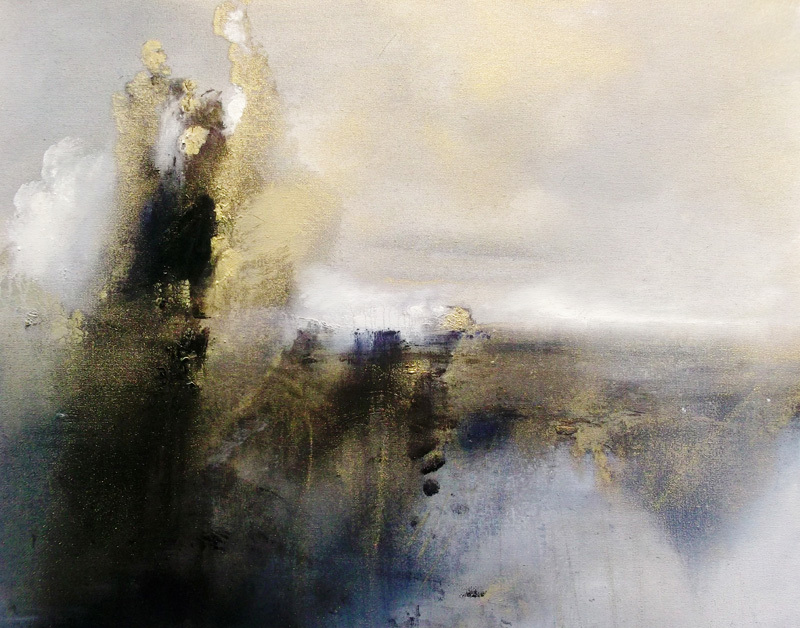 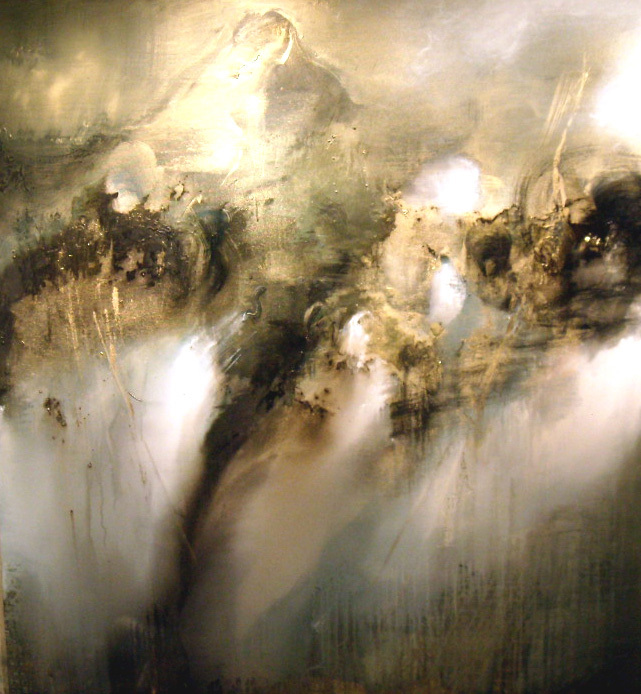 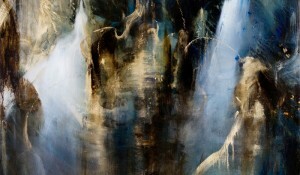 Lake, 170 x 160cm, oil on canvas, 2008. 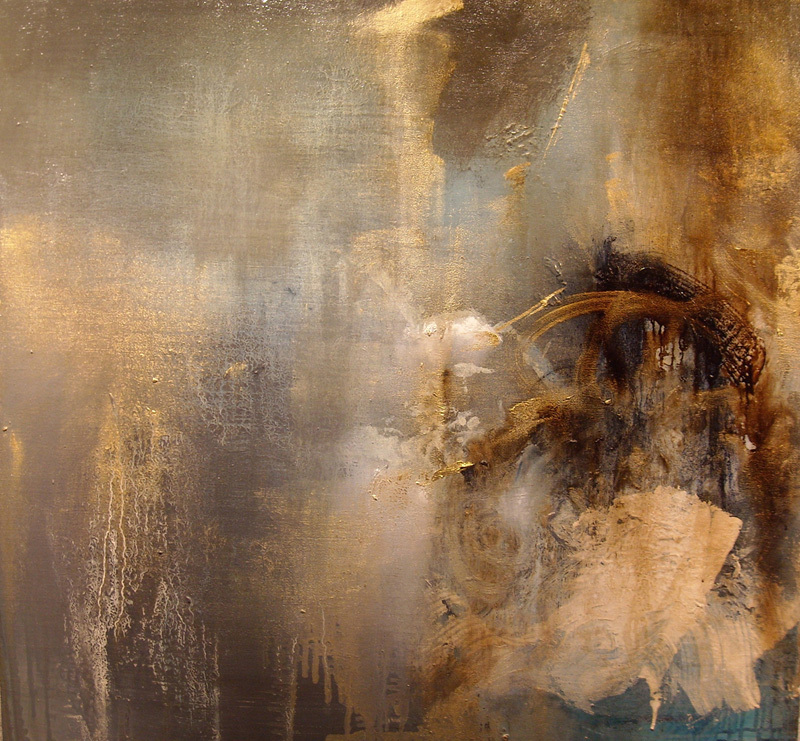 Gris, 75 x 85 cm, oil on canvas, 2009. 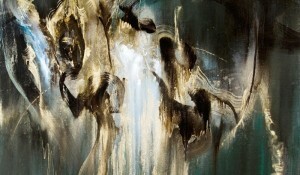 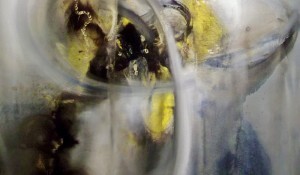 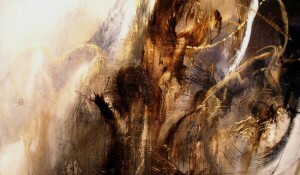 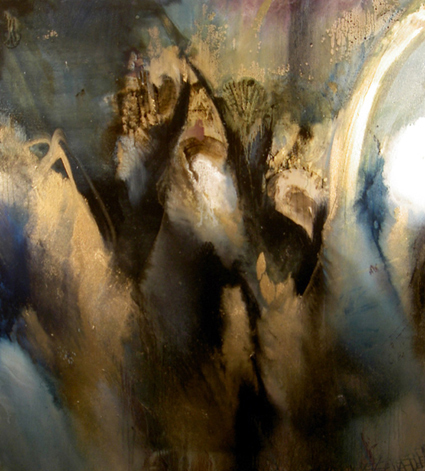 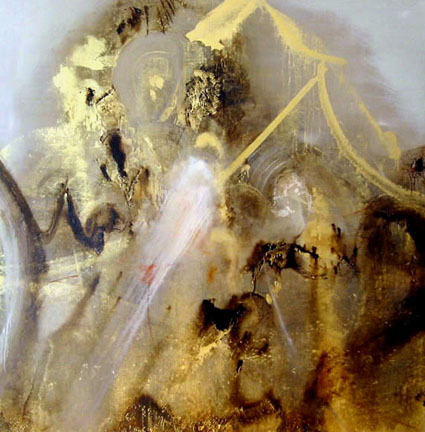 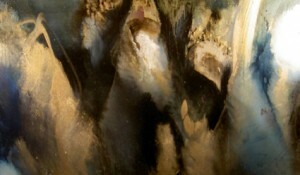 The Dance of Time after Taverner, oil on canvas.